Kindly publish this article.Appropriate your cooperation in the past. Asphalt paved roads being provides numerous economic benefits to every nation, Somaliland president, Muse Bihi Abdi has laid down the foundation stone to repair and carry out toroad maintenance work the roadbetween Somaliland capital, Hargeisa andthe town of Kalybadh which is distant from Hargeisa around 70 K.Asphalt paved roads benefits to the societies are not limited but wide. All over the world, bad roads cost car owners millions of dollars. Bad roads are costing Somaliland transport owners higher repair bill. Presently, the road Hargeisa connecting to Kalybad is very poor conditions, has tens of road cracks and this is what influenced Somaliland government to carry out this noble road maintenance work which is novel project. A number of asphalt road benefits are listed underneath. Asphalt roads in rural areas are the tallest pillar in nation’s economy of view of its multiple advantages to nation economy. Asphalt roads fulfil a crucial function in modern society providing increased mobility for people, goods and services. The process involving of constructing asphalt road compromises clearing and piling. Asphalt roads constitutes noticeable benefits to Somaliland agricultural communities like marketing them their agricultural products. Good road are like bridges that connects societies to each other. Asphalt roads fulfil a crucial function in modern society, providing increased mobility for people and services. Asphalts roads are the tallest for nation infrastructure as this creates economic development.Asphalt roads, providing essential links between villages and farms as this enables agricultural community to market their agricultural products.This road project is funded by EU, German government and Somaliland government will contribute 10 % of the project value being the major benefiter of the project, said by Somaliland minister of transport and road development Abdillahi Abokor. Success is no paved with rosy flower, but filled with many obstacles, but desire, willpower and action are the foundational keys to all success as this will overcome any obstacles that may hinder progress. Things do not happen, but must be to create to happen. Things are done step by step.Road maintenance operations involves road painting, road patching and road spraying as well as more process for completion. 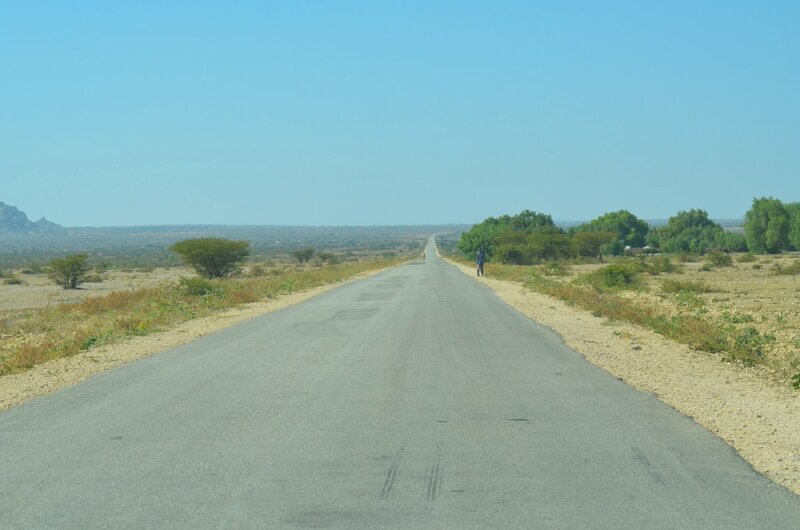 On thisevent, Somaliland president has praised the novel work made by the ministry of transport and road development with regard the road connecting Burao to Ergabo estimated almost 375 KM which is milestone success for Somaliland people. This road project is a network that connects Somaliland from east to west. This is big win situation for entire Somaliland. The president also highlighted the hardships and the challenges awaiting the ministry employees to overcome with regards making more road network connecting the entire Somaliland people as there is nothing impossible for people that have strong determination to succeed. The minister of transport and road development Abdillahi Abokor enlightened the importance of asphalt roads to Somaliland society and the also explained future roads the ministry willing to construct shortly to various areas of Somaliland. This road project is 60 KM, said by the minister. Somaliland roads manager also spoke the event. The manager acknowledge they have attained wide experiences from the underway road projects in the past and that will improve their future performance with regard road construction industry as experience is the best teacher and themother of wisdom.He also underlined the future plans of the ministry and how to make successful future projects with regards the same. Since there is direct relationship between roads and environment, the minster ofenvironment and rural development, Shukri Haji Ismail Mohamoud Bandare has spoken the event as constructing roads involves cutting trees which have an impact with the surrounding environment. It is understood success is a state of mind, if you want success, start thinking making success as what our minds can comprehend, believe it and our hearts desire, we can accomplish. This is a proven reality through experiences. The path to success is to take massive determined action, Tony Robbins. This government efforts over the last 14 months has led splendid results as success comes to those who are too busy looking for it.